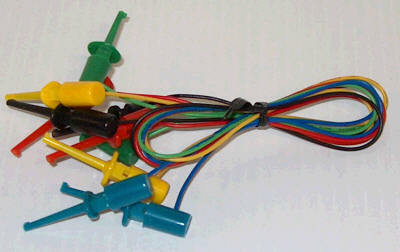 Set of 10 clip leads with 31mm insulated clips. 24 AWG stranded wires. 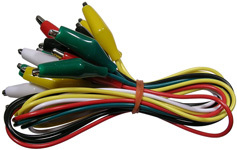 Set of 10 heavy duty clip leads with 50mm clips. 22 AWG wires. Set of 4 heavy duty clip leads with 50mm clips. 22 AWG wires.